Hi! 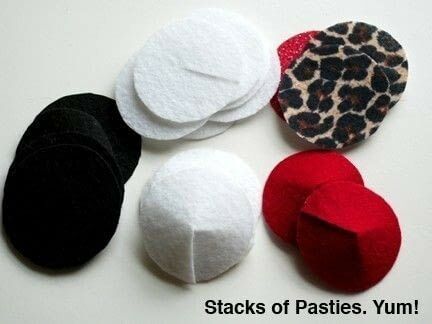 I’m Randi Kittens, and I’m going to show you how to make a very fast and easy set of pasties. These are the most simple style that allows for crazy and imaginative adornments. I've used these simple pasties on stage and they can be seen from a mile away! First off, do you have any grand ideas? This is the most important part of pasties making. Let your imagination go and think of the perfect pasties! Just let your imagination flow and see what happens! **Remember, you can find inspiration in other people's ideas, but learn to create your own individual style! Pasties can be made in a variety of ways, but an easy way to learn is to use really stiff felt, available in any color imaginable. 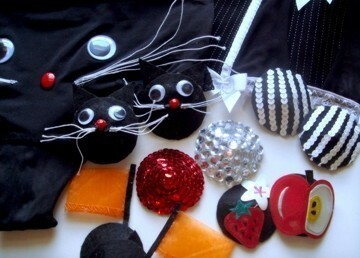 Felt can be cut into a variety of shapes, like butterflies, cat heads or stars. 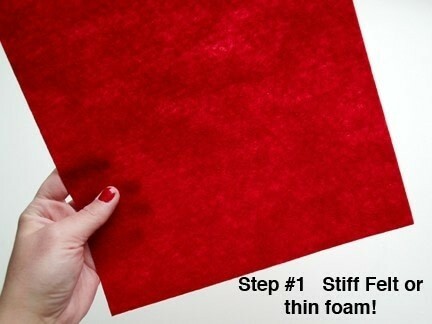 Thin foam also works well. You need to measure how big you want the pasties to be. I like them big enough for the decorations to be seen from stage, but small enough to show off my goods. Personally, I use 2” for basic pasties, or 3” for elaborate adornments and designs. Now make yourself a circle pattern out of cardboard. 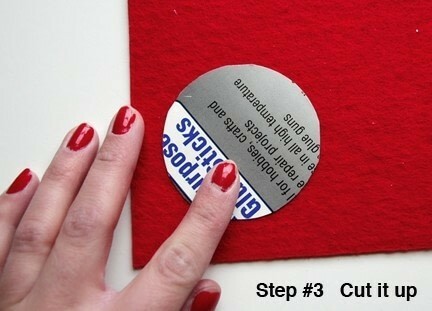 Cut your circles out from the felt. I suggest cutting several circles out in case you mess up. I usually have stacks of colors ready for decorating. Now take one circle (I think it looks like a communion wafer), and cut a line halfway down the middle like a radius. Remember your geometry! 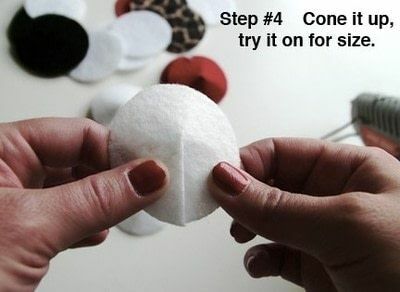 Now overlap the ends to create a ‘cone’. Don’t go too pointy or they might not stay on! To assure they feel comfortable, try them on before gluing. 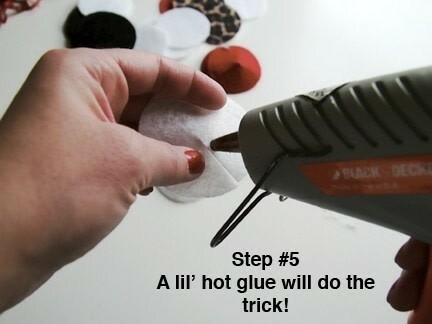 Make sure to hot glue the top flap to the bottom. 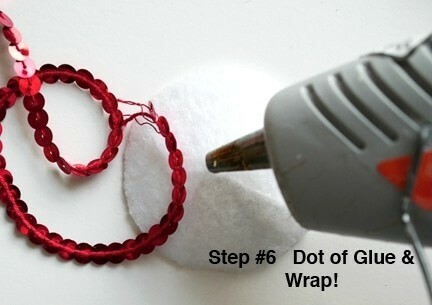 If you are gluing fabric or something that will show the overlap, there is an alternate way to make them. Cut out a triangle to make the circle look like Pacman in step #3, now sew up the sides to make the cone. This will allow for thin fabric to be glued on without showing the overlap or glue. Now time for the fun part, DECORATING! I’m demonstrating a very simple style, but I really want you to let your imagination go WILD! I decided to use some red sequin string for super sparkley “Red Hot” pasties. 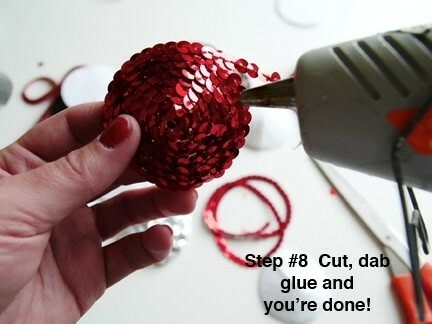 To start, add a dot of glue on the tip and attach the end of the sequin string. Don’t worry if it looks ragged, just add a dab of glue on top of the first sequin, and cover it with more sequins. 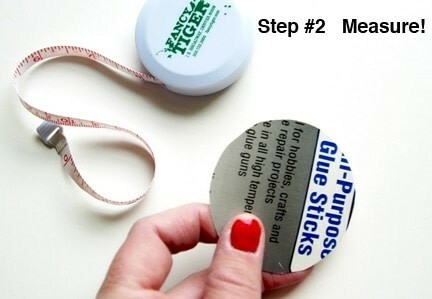 Start gluing and wrapping in a circle till you get to the end. You’re done! 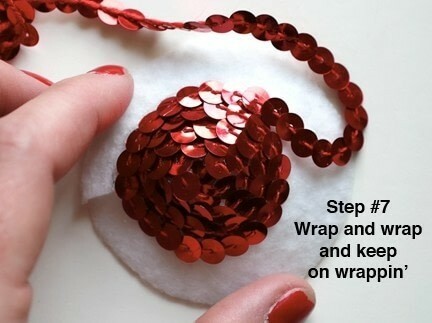 Now snip off the end, and add a tiny bit of glue to the end of the last sequin, trying to hide any glue or strings. If you can see an imperfection, simply glue another sequin over it. You can take some nice soft silky fabric and glue it inside, but I've glued them on with only the felt and they feel just fine. Now lather, rinse, repeat with the other pastie. If you doing the alternate pasties in Step #7, remember to glue the fabric to the TOP of the cone, fold the fabric under the edges and glue it to the inside. Then find some nice soft fabric to glue inside to hide your folded fabric. Plus you don’t want scratching while you are strutting your stuff! 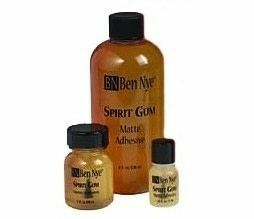 Now liberally apply Spirit Gum to the inside of the pasties and press on for about 30 sec, or until they feel stuck. I like Ben Nye, it's easy to find and works like a charm. Good luck, and post your pics of your fabulous new pasties! I can't wait to see your creations! This is such a COOL project! I'm making a bunch for me and my friends. Thank you for posting this! I love this! So easy to make and fun to wear! Thank you for posting.